A study of the metabolic effects of omega-3 fatty acids, especially DHA, concludes that these compounds may have an even wider range of biological impacts than previously considered, and suggests they could be of significant value in the prevention of fatty liver disease. The research, done by scientists at Oregon State University and several other institutions, was one of the first of its type to use "metabolomics," an analysis of metabolites that reflect the many biological effects of omega-3 fatty acids on the liver. It also explored the challenges this organ faces from the "Western diet" that increasingly is linked to liver inflammation, fibrosis, cirrhosis and sometimes liver failure. The results were surprising, researchers say. Supplements of DHA, used at levels that are sometimes prescribed to reduce blood triglycerides, appeared to have many unanticipated effects. There were observable changes in vitamin and carbohydrate metabolism, protein and amino acid function, as well as lipid metabolism. Supplementation with DHA partially or totally prevented metabolic damage through those pathways often linked to the Western diet - excessive consumption of red meat, sugar, saturated fat and processed grains. The findings were published in PLOS One, an online professional journal. "We were shocked to find so many biological pathways being affected by omega-3 fatty acids," said Donald Jump, a professor in the OSU College of Public Health and Human Sciences. "Most studies on these nutrients find effects on lipid metabolism and inflammation." "Our metabolomics analysis indicates that the effects of omega-3 fatty acids extend beyond that, and include carbohydrate, amino acid and vitamin metabolism," he added. Omega-3 fatty acids have been the subject of much recent research, often with conflicting results and claims. Possible reasons for contradictory findings, OSU researchers say, are the amount of supplements used and the relative abundance of two common omega-3s - DHA andEPA. Studies at OSU have concluded that DHA has far more ability than EPA to prevent the formation of harmful metabolites. In one study, it was found that DHA supplementation reduced the proteins involved in liver fibrosis by more than 65 percent. The most recent research is beginning to break down the specific processes by which these metabolic changes take place. If anything, the results suggest that DHA may have even more health value than previously thought. "A lot of work has been done on fatty liver disease, and we are just beginning to explore the potential for DHA in preventing or slowing disease progression," said Jump, who is also a principal investigator in OSU's Linus Pauling Institute. "Fish oils, a common supplement used to provide omega-3, are also not prescribed to regulate blood glucose levels in diabetic patients," he said. "But our studies suggest that DHA may reduce the formation of harmful glucose metabolites linked to diabetic complications." 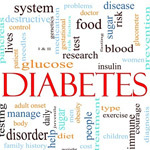 Both diabetes and liver disease are increasing steadily in the United States. The American Liver Foundation has estimated that about 25 percent of the nation's population, and 75 percent of those who are obese, have nonalcoholic fatty liver disease. This can progress to nonalcoholic steatohepatitis, cirrhosis and cancer.